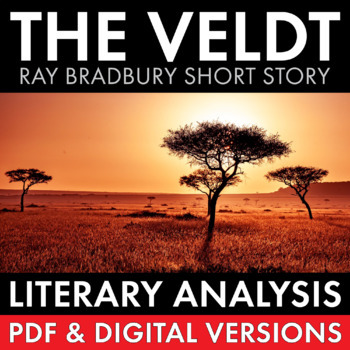 Ray Bradbury’s chilling futuristic short story, “The Veldt,” gives us a glimpse of a world where children love their devices more than their families. Sound familiar? This compelling 90-minute lesson will get your students reading, thinking, and discussing the consequences of our tech-dependent culture. 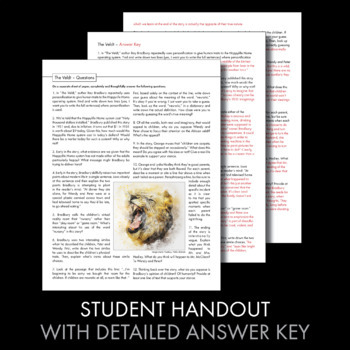 The materials (5-page PDF and video link) were designed to help middle and high school students sharpen their literary analysis skills while also making personal connections to Bradbury’s eerily prophetic tale. Want more visually dynamic Sci Fi lessons? Click HERE to check out my budget-priced two-week Science Fiction Mini-Unit, which includes this lesson. 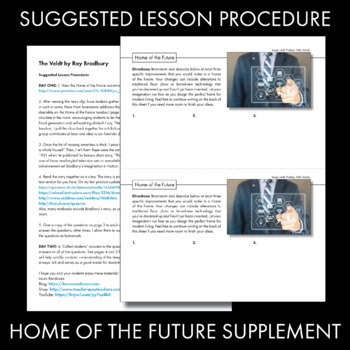 No need to purchase the item on this page separately if you buy the money-saving bundle of lessons. Please note: This lesson is NOT included in my 4-week Short Story Unit bundle. These materials for "The Veldt" also make a terrific lead-in lesson for a larger study of Bradbury's Fahrenheit 451. Click here to find an interactive introductory lesson for F451 and click here for a helpful pack of study question worksheets to guide students through the novel.